Hollow ground blade produces smooth finish cuts. 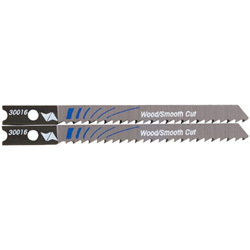 High speed steel jig saw blades are precision filed and set for maximum cutting performance in ferrous and non-ferrous metals. Teeth are precision ground for fast, smooth cuts.